Fiji will continue to support the Organisation for the Prohibition of Chemical Weapons in its global efforts to permanently eliminate chemical weapons. 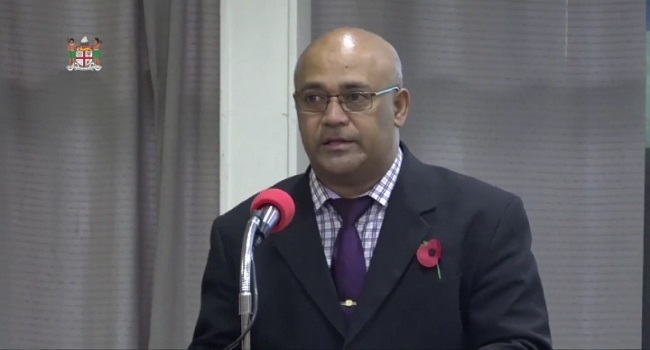 Permanent Secretary for Ministry of National Security, Osea Cawaru reiterated this when delivering Fiji’s statement to the Review Conference for the OPCW. The Review Conference occurs once every five years and is an opportunity for all parties to set a strategic direction for the next five years and beyond. Cawaru says Fiji is working towards signing the Privileges and Immunities Agreement next year. Cawaru also briefly spoke on the challenges Fiji faces when it comes to the different implementation process of the chemical convention.